I also added a pretty rainbow to a couple scenes. 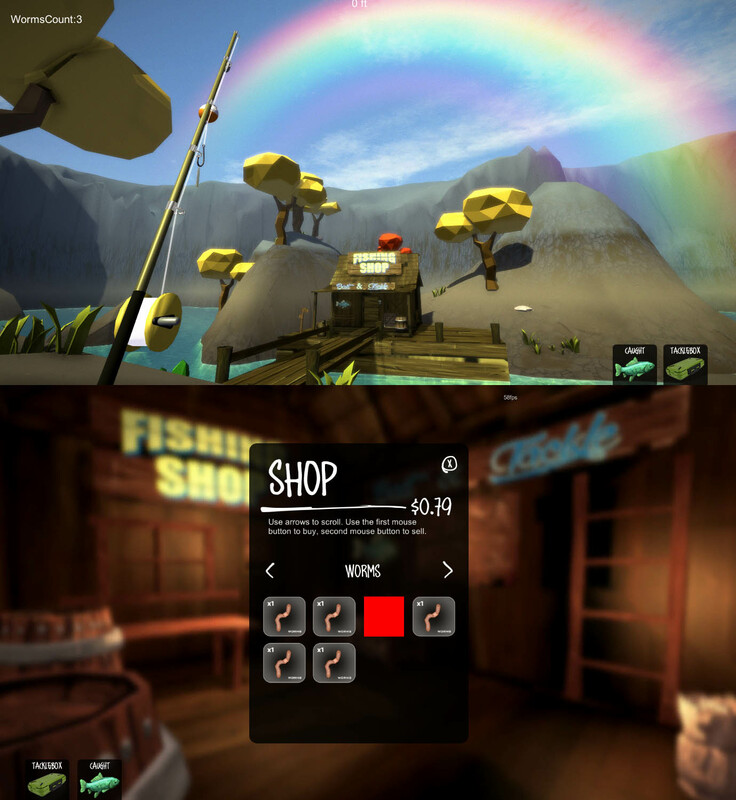 I also worked on the shop - the fish are sold automatically when the player enters the shop, and the player can buy or sell bait. It's working great. Now I need to finish the actual 3d models so I can add UI textures for them. Then, I need to create a method for attaching the bait to the hook, which hopefully won't be too difficult.